If you’re looking for an ultimate escape – a vacation in the Exumas located in the Bahamian paradise is what’s in store for you. You’re most likely swim with the charming pigs and gentle nurse sharks, see giant starfish, and even feed wild but friendly iguanas. You may want to spend your entire year boating and floating through the 365 cays, as what locals say, one cay per day. Majority of the cays are uninhabited and some are under the ownership of celebrities. Don’t worry about the place where you’ll spend the rest of your dream escape. There are numerous vacation homes in the Exumas to choose from which will truly offer a one of a kind experience from a relaxing ambiance to waking up to the stunning views every day. Discover the paradise of the Exumas. Let’s make the most out of your stay in this undiscovered series of islands in the Bahamas. 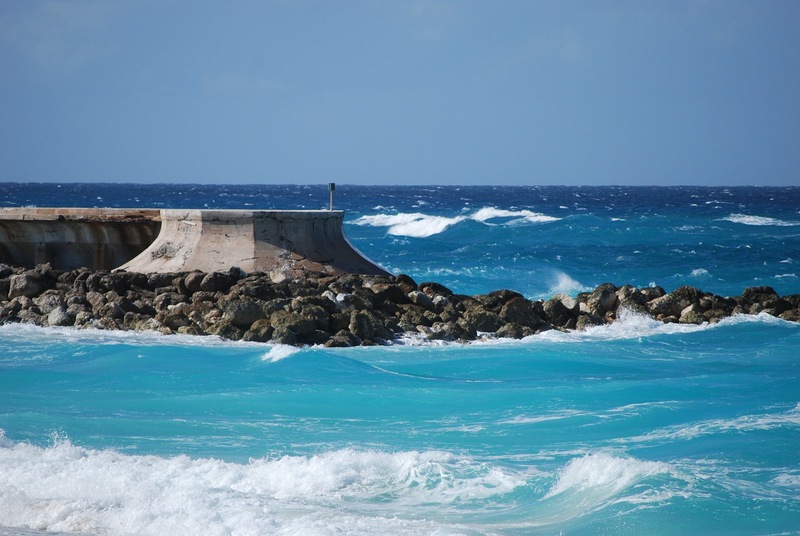 You can start your adventure on Great Exuma’s northern shore which is the Barraterre. You may rend a boat together with a trusty captain and guide to show you the best spots in the area. Are you curious about the color of water? It seems like a gradient from sea green to sapphire. It will definitely be the beautiful water you’ll ever see in your entire journey. Here, tons of starfish will welcome you as they are being seen almost covering the ocean floor. It may be your first time to them that big! It is fine to pick them up for as long as you don’t keep them out of the water for a long time. Since the water is too shallow, you can easily find them. Not too far from the Starfish Reserve, your guide will dive into the water and come up with several conch shells. It will be later used to make tasty conch salad. It is the Bahamas’ version of ceviche. Its ingredients include the raw conch that will be pulled out from the shell, chopped onions, peppers, lime and orange juices and some spices that they want to add up to. Here is where you find a little civilization which comprises of around 70 people. Of all the cays, it is the said to be the first one to be inhabited. It is about 40 minutes if you’re coming from Great Exuma. You’ll find a restaurant and a small grocery in the island, a place where locals gather and play dominos. It’ll definitely a one of a kind experience where you can step on a footprint-less stretch of pristine sand so be ready and make your first mark. It is ideal to visit in the morning during low tide. Spend a couple of hours to hang out here where complete solitude ambiance is just so perfect. As you cross the water from the Staniel Cay Yacht Club, you’ll see the Thunderball Grotto. It is a marine cave which is a perfect place to explore the world down under for snorkelers and experienced scuba divers. It’s somehow a bit of work as you paddle inside but to tell you honestly, it’s work all the effort. This grotto was featured in one of James Bond movies Thunderball and Never Say Never Again. You’ve landed on the activity hub in the cays. It is also a favorite destination of yachters. The Staniel Cay Yacht Club is the only full-service marina that can be found in the cays. The restaurant in the club is the best place to have your lunch, dinner and ever a place to be for the nightlife. Here’s one of the highlights of your Bahamian paradise getaway, swimming with the lovable pigs at the Big Major’s Cay. They are so friendly. As you come to the island they automatically dive right in and swim to welcome you. Don’t forget to bring some scraps to feed them. Another highlight of your dream escape is can be experienced in Allan’s Cay. Get ready with your grapes and stick. This destination is home to hundreds of wild but friendly iguanas. Just put a grape on your stick and they’ll crawl towards your position. It’s really an exciting experience! This is a protected area and the first of its kind in the world. It boasts of some of the best snorkeling and diving spots in the Bahamas. Since it’s rich with marine biodiversity and still unspoiled to the point that the water has essentially never been fished, you’ll definitely be amazed of the world down under. Other activities that you can engage yourself with when in the area are hiking and bird watching. It is notably known as an unspoiled deserted island boater’s paradise. The setting here seems to be tie up your boat and grab a Kalik Beer while hanging out with fellow boaters that came from the different part of the world. Here, you don’t need to be afraid to swim with the harmless and friendly nurse sharks. They are adorable. If you go around at the back of the Exuma Cays Land and Sea Park by means of boating, it is possible for you to climb to one of its highest points. If you want to do it, you need to be prepared as you’ll wade through around shoulder deep water and be ready to climb a rocky path. Don’t worry, it may take much energy and effort, but it’s okay. The 360 degrees view is so stunning! Be ready to taste the best cocktail and excellent Bahamian cooking in one of the best restaurant in the Norman’s Cay, the MacDuff.